26 July 2008. Still in the Exotic Reserve Peyrieras. They also had snakes there. Dangerous? Not really. 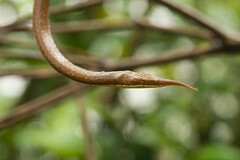 Especially if the snakes have a comical spear shaped or leaf shaped nose. 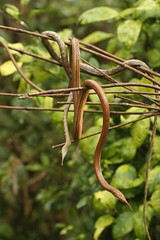 Hence the name Spear-nosed Snake or Leaf-nosed Snake (Bladneusslang).